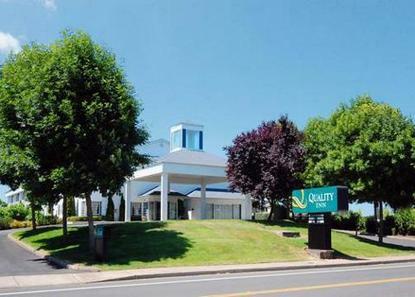 The Quality Inn in Albany, Oregon is a 74 unit interior corridor hotel located near I-5 (easy to find, but no traffic noise) close to shopping, antique stores, movie theater, restaurants, and the Linn county fair and expo center. The Timberlynn park is just across the street. Our fitness room offers new equiptment. Pet accommodations: 10.00/night, per pet.